The A.K. Rice Institute and Affiliates are organized and operated exclusively for educational purposes in accordance with Section 501(c)(3) of the Internal Revenue Code. All membership dues and contributions are tax deductible. 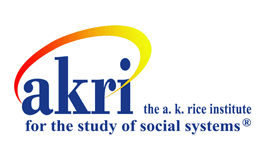 While the A. K. Rice Institute (AKRI) is a non-profit organization run primarily by volunteers, we are required to contract outside administrative support to manage our many functions. It is your membership dues, financial contributions, and volunteer time that affords our organization to survive and thrive. The only requirement for AKRI membership eligibility is participation in a Group Relations Conference or equivalent experiential educational event. 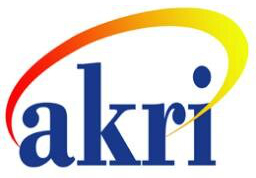 The qualifying event must have been offered by AKRI, one of its Affiliates, or other AKRI Board-recognized organization that is explicitly identified with Group Relations work. There is an annual fee to maintain AKRI Membership status and to receive associated benefits and services. Discounted dues for Associate Memberships and renewals are offered during our annual Membership Drive between October and February of each year (see Dues Structure below). Dues paid in the last quarter of a calendar year will be applied for the following calendar year membership; those paying in the last quarter will have memberships initiate immediately upon receipt of dues, and receive all membership benefits pertaining thereto during that last quarter. A reduced-cost, Student Membership is also available year-round with valid student ID. Fellow 75 Membership: Fellows of the A. K. Rice Institute and at least 75 years of age are eligible for lifetime dues exemption by request made to [email protected]. If you have any questions about membership, dues, or would like to request Fellow 75 Membership dues exemption, please contact [email protected]. To join or renew your AKRI Membership, please complete the AKRI Membership Application. please complete the Affiliate Membership Application.